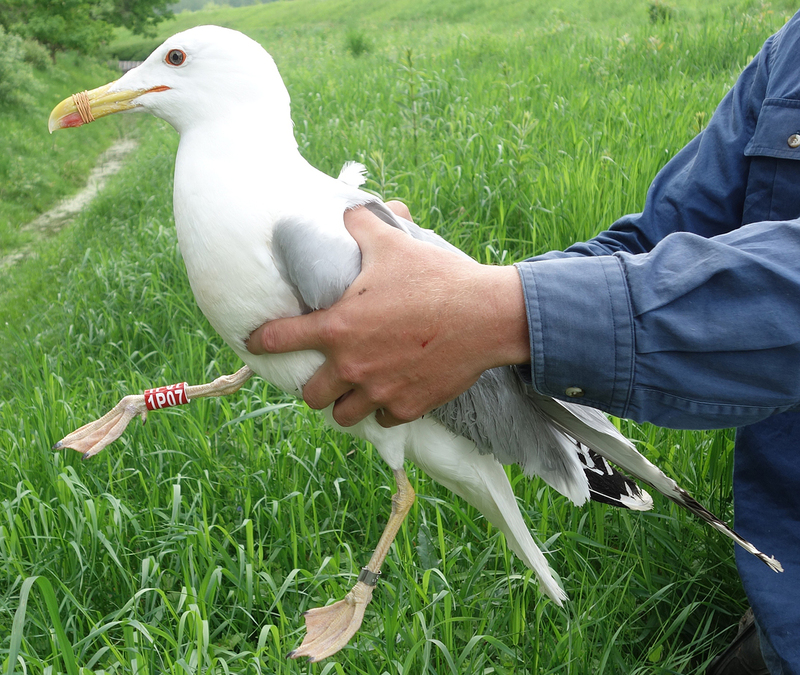 Larus cachinnans 1P07 adult, May 2013 & June 2014, Wytyckie Lake - Urszulin & September 2013, Stara Wies landfill, Poland. Picture: Łukasz Bednarz ringing team. below: Larus cachinnans 1P07 adult, May 14 2013, Wytyckie Lake - Urszulin, Poland. Picture: Łukasz Bednarz ringing team. 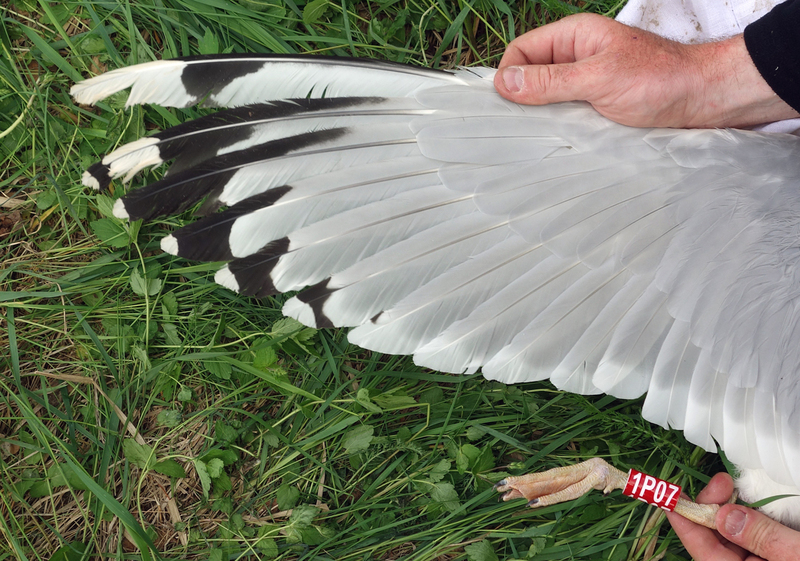 Deep white tongue on P10 (almost thayeri pattern), broad black band on P5; small black spot on P4. P1 still present, PMS=0. 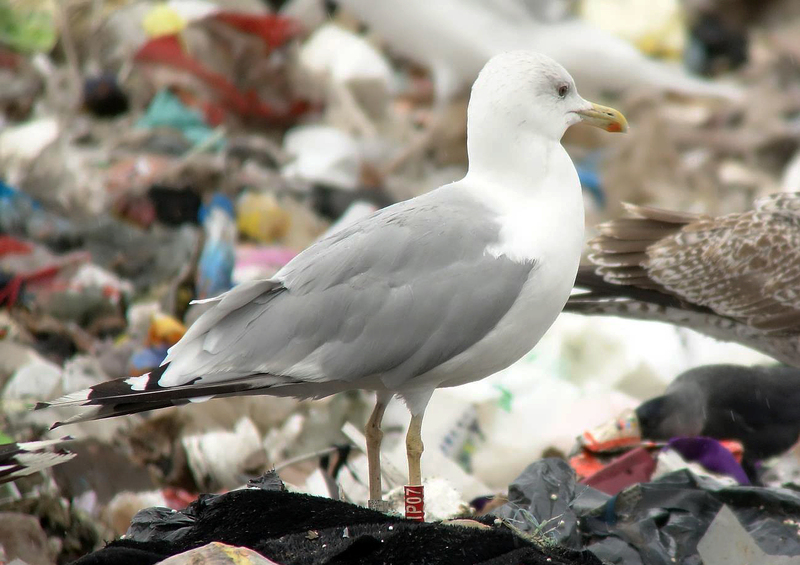 below: Larus cachinnans 1P07 adult, September 13 2013, Stara Wies landfill, Poland. Picture: Łukasz Bednarz ringing team. 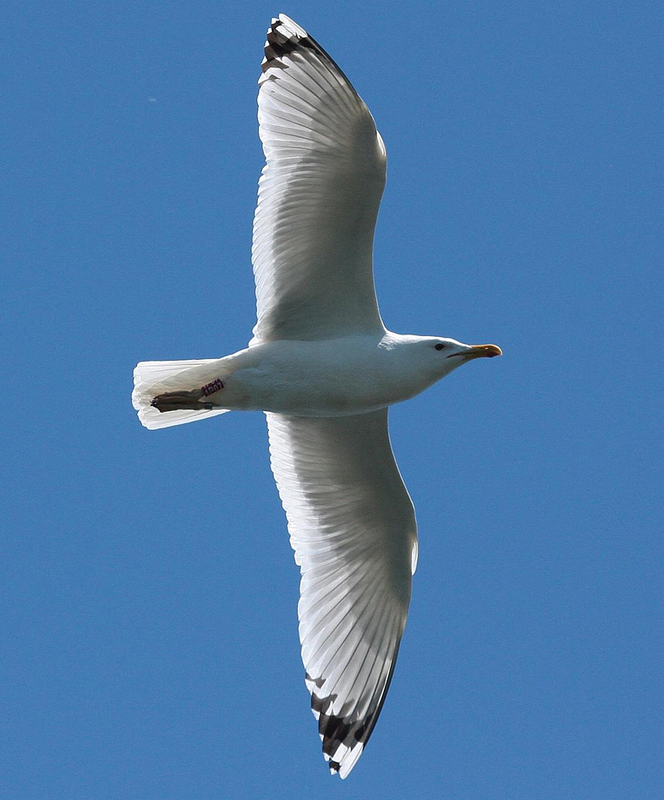 below: Larus cachinnans 1P07 adult, June 10 2014, Wytyckie Lake - Urszulin, Poland. Picture: Łukasz Bednarz ringing team.